At this year's Food & Drink Expo, the BigFish Brand team will be inviting visitors to help choose the next new BigFish Brand flavour! 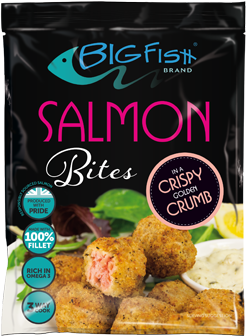 As well as enjoying samples from the BigFish Brand™ range, including oak-smoked salmon and deliciously crispy new Salmon Bites and Goujons, show visitors will be invited to taste four exciting new potential flavours for the next product in BigFish Brand’s signature range of marinaded frozen salmon portions. 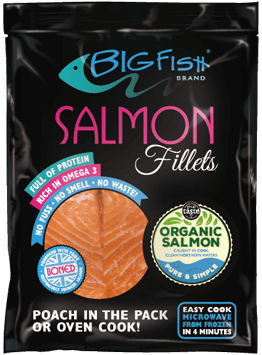 Everyone who votes for the winning flavour at the show will also be entered into a draw to win a big hamper full of BigFish Brand salmon products. Which will you choose? Come down to Food & Drink Expo and cast your vote! 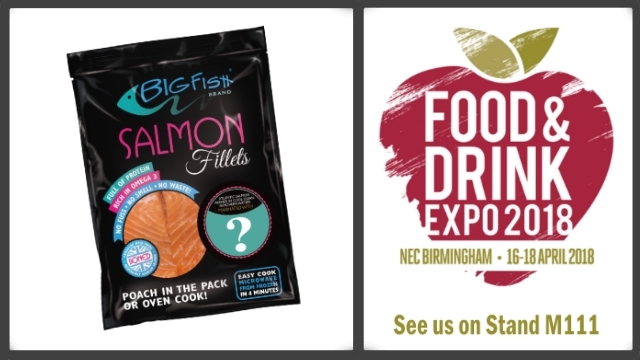 You can find BigFish Brand at Stand M111 at Food & Drink Expo at the NEC in Birmingham, 16-18 April 2018. For free registration to the show, click here.